Tower Crane Hire Pty Ltd is a family owned and run business which was established in 1980, we are a successful crane company best known for our dedicated, reliable and honest reputation. During the years we have steadily grown stronger and bigger through our experience and we have always run our business passionately. We specialise in: crane sale, tower crane hire, labour hire and rigging. Our prices are competitive and we are proud to say that the reason our clients do come back is because we pride ourselves on customer satisfaction. 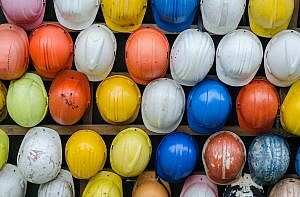 We are also involved with a highly reputable Registered Training Organisation SCTS which provides short courses that support the construction industry. We provide our services to small, medium and large sized Building and Construction Companies and Developers.